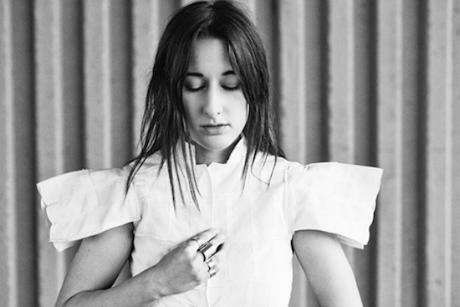 I first saw Zola Jesus play live around Halloween 2010, on a trip to Austin, Texas to interview for her for an NME feature. It was during the Austin City Limits Festival, which basically seemed like SXSW without the pressure of having a load of bellends with expense accounts rampaging through town. Nevertheless, the streets were pretty packed with people heading from venue to steak place to bar to gig. I sat on the pavement outside the venue, and spoke to Nika Rosa Danilova about how the press had her pigeonholed: "all 'Goth this, goth this, witchcraft, banshee, occult, all these terms'". She insisted that "my pop songs are really dorky. I love noise, and industrial, and 20th Century avant-garde classical music, but I also love R&B, pop music, soul, and funk. To me, my pop side is blatantly overpowering the other side - but people just want to forget it." Later that evening, her rather quiet speaking voice outside on the street was transformed, tracks from her Stridulum album given full-throated, soaring power. Now Danilova's voice is given a new foil in the form of the arrangements of JG Thirlwell on the album Versions. We asked Danilova to choose her 13 favourite albums for a Baker's Dozen, and she went one better: "The list is comprised of female vocalists who taught me the power of the human voice, and inspired me to free my own." Click the image below to begin the countdown.